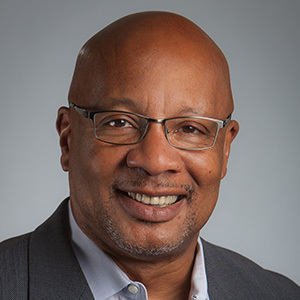 Warren Simmons is a Senior Fellow at and Former Executive Director of the Annenberg Institute for School Reform. He directs the work of AISR and team-teaches a course in urban systems and structure in Brown University’s Urban Education Policy master’s program. Before joining AISR in 1998, he was founding director of the Philadelphia Education Fund, which helped the School District of Philadelphia to fund, develop, and implement new academic standards, content-based professional development, standards-based curriculum resources, and comprehensive school reform, as part of the Children Achieving reform agenda. Previously, at the Annie E. Casey Foundation, he developed and funded initiatives on community development and urban school reform. He also served as director of equity initiatives for the New Standards Project and as special assistant to the superintendent of schools in Prince George’s County, Maryland, where he planned and/or implemented district-wide initiatives on improving the achievement of traditionally underserved students. He received a BA in psychology from Macalester College and a PhD in psychology from Cornell University. He is a recipient of the Distinguished Citizens Award from the National Governors Association and has served on the advisory groups and boards of the National Center on Education and the Economy, Public Education Network, the Merck Institute, the National Equity Project, PLATO Learning, Inc., the Campaign for Educational Equity, the California Collaborative, the College Crusade of Rhode Island, the Cowen Institute, the Southern Education Foundation, the Pew Forum, and Roger Williams University. He was chair of the Rhode Island Urban Education Task Force, convened by Governor Donald Carcieri; a member of the National Commission on Civic Investment in Public Education, convened by Public Education Network; and chair of the New York City Working Group on School Transformation. He currently co-chairs the Aspen Urban Superintendents Network and serves on the National Research Council’s Committee on Strengthening Science Education through a Teacher Learning Continuum. In 2015, he was appointed to the board of the Family Health Initiative (FHI 360); the Broader Bolder Approach Advisory Board; the Blue Ribbon Committee of the New York State Board of Regents’ Workgroup to Improve Outcomes for Boys and Young Men of Color; and the Advisory Board of Education Resource Strategy’s School System 20/20 initiative. Dr. Simmons also serves as a member of the board of directors of the Nellie Mae Education Foundation.